Many years ago (1990s) I remember a company making some aluminium hardware similar to this, I think it was Gibraltor, I never had some, but I always remembered thinking it was an awesome idea. Then they seemed to disappear and I never saw them again, well until now! Yamaha has released this incredible hardware pack called Crosstown that is insanely lightweight, but insanely sturdy. Not only that, the design gives them a pretty interesting look. Why is this idea so good? Well as any drummer knows, stands are HEAVY! If you’re playing gigs, and travelling around, the last thing you want to do is lug a 100lb hardware case up 4 flights of stairs for a gig in NYC. 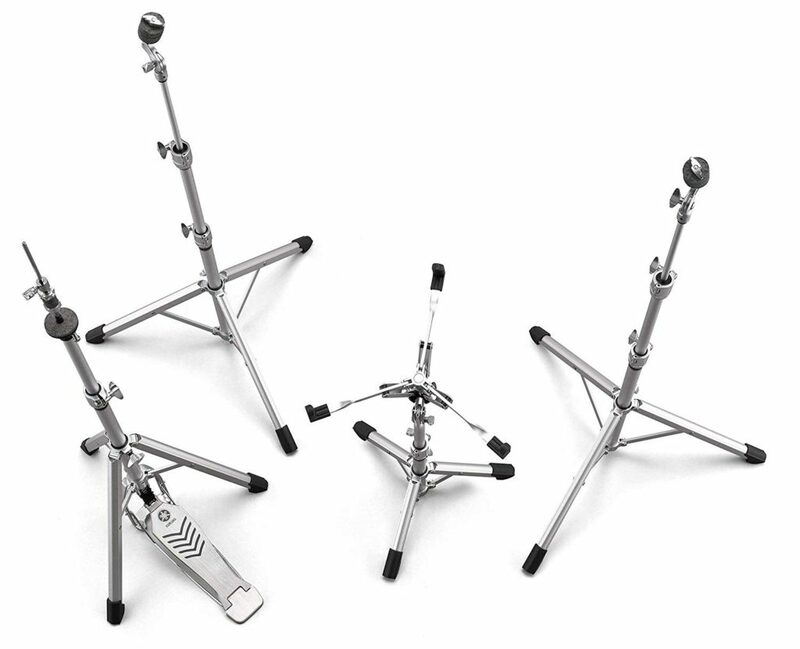 I actually use lightweight flat based stands by Ludwig, and yes they’re light, but not nearly as heavy duty as these, and actually not even as light since they’re still made of metal alloy. The total weight of the Yamaha Crosstown Hardware Pack is only 17lbs in the case! Very… very cool. Get some with the link below! 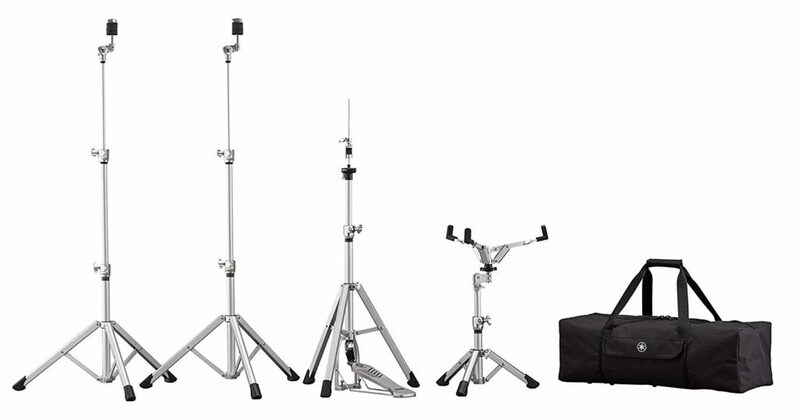 This entry was posted in drums and tagged best 2019, best lightweight cymbal stands, hi hat stand, lightweight cymbal stands, lightweight flat base cymbal stands, used yamaha cymbal stands on ebay, yamaha 600 series cymbal stands, yamaha 700 series cymbal stands, yamaha boom cymbal stands, yamaha crosstown stands review, yamaha cymbal stands, yamaha cymbal stands for sale, yamaha tom tom cymbal stands on March 20, 2019 by DemonicSweaters.